1920: Ogdensburg Aeroway Corp, Ogdensburg NY. 1920: (Thomas Henri) Huff-(Elliot) Daland & Co; Huff Daland Aero Corp. 1925: Huff-Daland Airplane Co, Bristol PA. 1927: Taken over by Hayden, Stone & Co, NYC brokerage firm. Merger as Huff-Daland Div, Keystone Corp. 1930: Daland to Kellett Autogiro Corp, to Platt-LePage in 1938, then to Piasecki Helicopter Corp; as a separate operation in 1924: Huff-Daland Dusters, Macon GA. 1925: Huff-Daland Dusters Inc, Monroe LA. 1928: Delta Air Service (roots of Delta Airlines). AT-1 1925 = 2pOB; 180hp Wright-Hisso E; span: 31'1" length: 24'8" v: 112. Gross wt: 2360#. POP: 10 [25-235/244] plus 5 redesignated as TW-5. 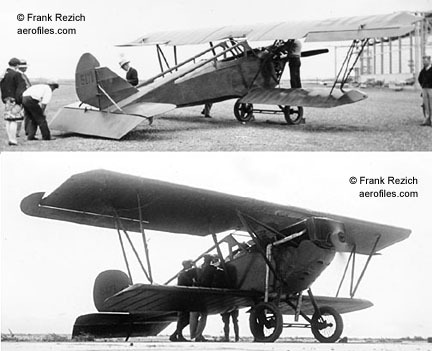 AT-2 1926 = AT-1 variant tested in different single- and two-seat configurations. Loaned to Air Service by Huff-Daland, so no s/n was allocated. POP: 1. B-1 1927 = 5pOB; two 510hp Packard 2A-1530. Designed by H-D, but unbuilt, reordered and constructed as Keystone XB-1B [27-334]. D-49 19?? = No data. Duster Model 1 1922 = 1pOB; 400hp Liberty 12; span: 50'0". Enlarged Petrel. HB "Cyclops" 1925 = 4pOB; 650hp Packard 1A-2540; span: 84'7" length: 59'7" load: 8768# v: 109. The last single-engine Army bomber. "Cyclops" was company designation. POP: 1 asXHB-1 [26-201]; to McCook Field as P-452. Design became Keystone XLB-3 in 1927. HD-1B Early Bird 1920 = 5pOB; two 100hp Anzani; load: 1100#; v: 90. Truss-braced wings, four-bladed props. $5,700. HD-4 Bridget 1920 = 2-3pOB; 140hp ABC Wasp or 100hp Anzani; load: 740#. Single-engine version of HD-1. $4,800; POP: unk civil; 3 to USAAS as TA-2. HD-5 Petrel 1921 = Variant of HD-4. 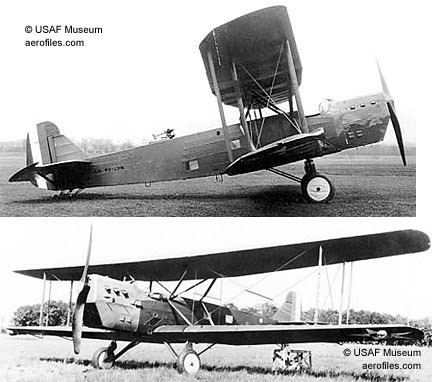 2pOB; 90hp Curtiss OX-5 and 150hp Hisso; span: 30'10" (?>29'0" >33'0") length: 24'2" v: 90. POP: unk [5171, possible others]. HD-7 Dizzy Dog 1921 = 3p seaplane. Uncertain if the design was ever built. 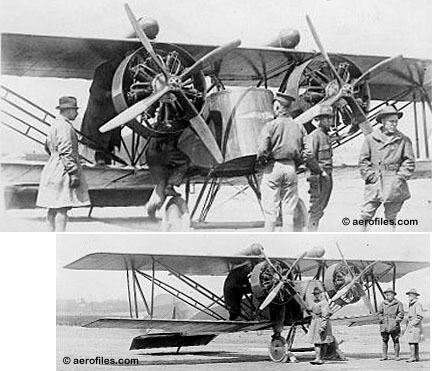 HD-8 Plover 1922 = 3pOB; 90hp Curtiss OX-5. Available as floatplane. HD-8A Petrel 1 1922 = 3pOB; 90hp Curtiss OX-5; span: 33'0" load: 600# v: 93. Charles Porter. Truss-type struts. Front passenger faced rearward, second one sat next to the pilot. HD-8A Petrel 4 1923 = 3pOB; 180hp Wright-Hisso; span: 31'1" length: 24'8" v: 112. Similar to military AT-1/TW-5, but with larger front cockpit. HD-8A Petrel 5 1925 = 2pOB; span: 33'0". First US plane to receive a Canadian license; used by Fairchild Aerial Surveys as a camera plane. HD-9A 1922 = 2pOB; 90hp Anzani. Fokker D.7-type wings. HD-9L 1922 = HD-9 with 140hp Lawrance. HD-22 1923 = 9pOB; 400hp Liberty 12. Used for cargo, passengers and as an aerial ambulance. HN - USN trainer, same as AAC AT-1. 2pOB and OBF. 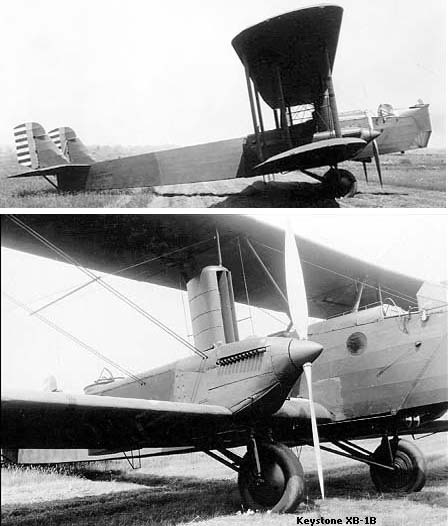 HN-1 1925 = Twin-floats version. 180hp Wright-Hisso E-2; span: 33'0" length: 28'6" v: 114 ceiling: 13,700'. POP: 3 [A6349/6351]. HN-2 1925 = Wheels or floats. 200hp Lawrance J-1; span: 33'0" length: 25'5" v: 105 ceiling: 18,150'. POP: 3 [A6701/6703]. HO 1923 = Observation version of HN-1. 2pOBF; 180hp Wright E-2; span: 33'0" length: 26'3" v: 102 ceiling: 14,800'. POP: 3 as HO-1 [A6560/6562]. LB-1 "Pegasus," -3 "Pirate" 1923-27 - Part of a series of planes designed for Army trials as Light Bombardment and Heavy Bombardment. A few of the designs were used notably in civilian roles and competitions before military service. Fanciful names in quotes were the creations of company engineers. SEE Keystone. XLB-1 1923 = 4pOB; 800hp Packard 1A-2540; span: 66'6" length: 47'4" v: 121. POP: 1 prototype [23-1250]. LB-1, -1A 1927 = 4pOB with 800hp Packard 2A-2540; span: 66'6" length: 46'2" load: 6178# v: 120/105/61 range: 470 ceiling: 11,150'. Bomb load: 2750#. POP: 9 [26-376/385]; construction of [26-376] cancelled in favor of Keystone LB-5A. XLB-3, -3A 1927 = Development of LB-1 with two 400hp inverted Liberty V-1410-1 was completed by Huff-Daland, but its parent name became Keystone, as well as for production of subsequent LB-5 to -14. POP: 1 [27-333]; to Wright Field as P-498. Converted to 5p with two 410hp P&W R-1340-1 as XLB-3A. LB-5 1926 = 5pOB twin-engine development of LB-1; two 420hp Liberty V-1560-3; span: 66'6" length: 45'0" v: 108. POP: 1 as single-tail XLB-5 [26-208], to McCook Field as P-453 and -566; 10 as twin-tail LB-5 for service testing [27-335/344]. Further production as Keystone LB-5. 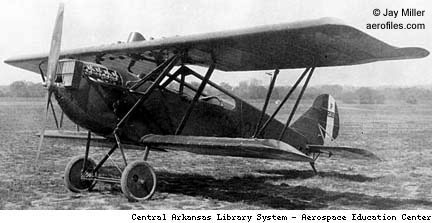 Pelican 1925 = 1-2pOB and OBF; 200hp Wright J-4. POP: unk. Petrel 31 1925 = Scaled-up HD-5 with 400hp Liberty 12; span: 50'0". POP: unk. TA-2 1920 = Army version of HD-4. 2pOB; 170hp ABC Wasp; span: 30'10" length: 24'2" v: 90. Gross wt: 1765#. Also with 100hp Anzani and 200hp Lawrance J-1. POP: 3 [64217/64219]. The first was used for static tests, the others became McCook Field projects P-166/-238 and P-142 respectively, both scrapped in 1926. 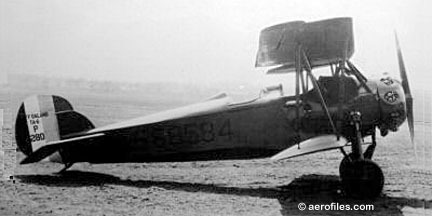 TA-6 1923 = Army trainer. 2pOB; 200hp Lawrance J-1; span: 29'4" length: 23'6" v: 115. Gross wt: 1965#. POP: 1 [AS65584]. 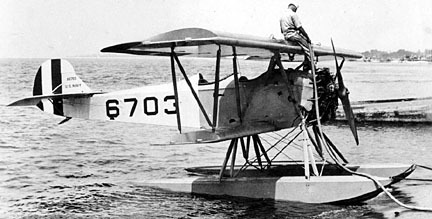 TW-5, AT-1 1923 = 2pOB; 180hp Wright-Hisso E-2; span: 31'1" length: 24'8" v: 115. Gross wt: 2210#. POP: 5 [23-1211/1215], 11 more in 1925; all later redesignated as AT-1. 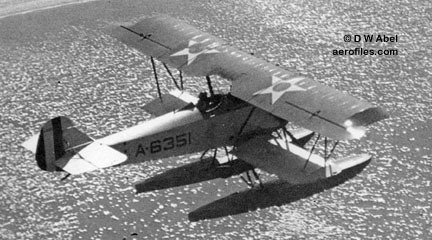 TW-8 1924 = USN 2pOB trainer was a tandem-cockpit version of Consolidated TW-3 (prototype PT-1). Designation of TW-8 was unofficial, and unassigned by the military.